I mean't to write last week but I had a nasty tummy bug, and then the school holidays and, well, everything got shelved for a while. My body and my mind needed a bit of downtime and I took it... And now I feel great again. Yay! 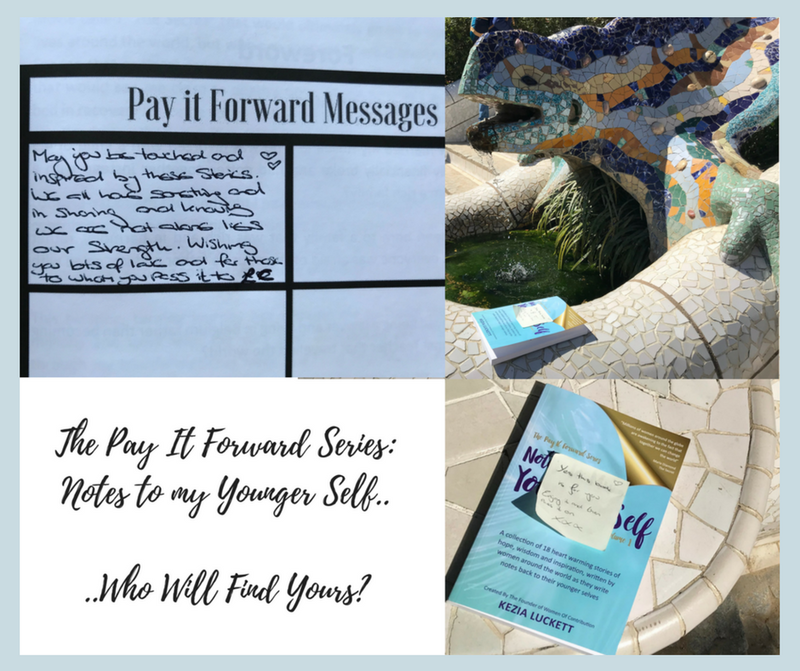 I have so many things to tell you about - We had a blast the weekend before last at the official launch of our amazing book The Pay It Forward Series; Notes To My Younger Self. I felt like a film star. We all did. 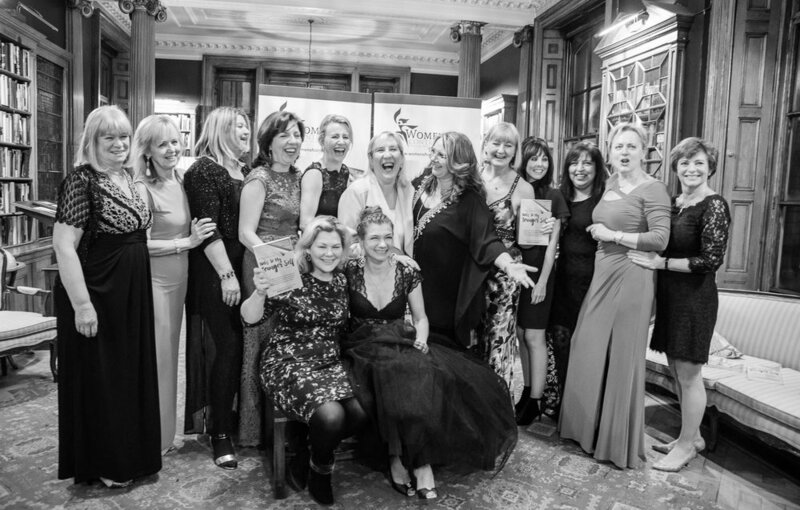 I had total imposter syndrome and feelings of inadequacy being thrown in with these formidible women and was a bag of nerves. I've been feeling a bit anxious generally lately. I often get a bit of anxiety from time to time, and have been using my Kundalini Yoga tools to bring me back into my body (check out the 2 minute alternate nostril breathing technique here and below) but everybody was super lovely and I relaxed straight away and felt the compassion and comradarie. The sisterhood vibe was super high! It felt like I'd known them all for years. Not only were we sharing the pages of the same book, but we had been back to dark places and then brought them into light for everyone to see and black and white. We all knew how that felt. Vulnerable but powerful - and you could feel it. We also had loads of support and a good male presence which put the yang in our yin and it was dynamite. The energy was so bright and vibrant that it felt like a rocket launch rather than a book launch. So now its time to read the book and Pay It Forward. To someone you know or someone you don't. By telling our stories we can plant the seeds of hope and we can cultivate the growth of inner strength. Here's how you can reach out and let someone know that they are not alone. 3. Give it to a friend, family member, or even a complete stranger by leaving it on a bus, a train, a park bench, or even on the table in your local cafe. And what happens if the wrong person picks it up? I don't think there ever a wrong person and it will always find it's way to the right person. The right story will resonate. I was just chased down the street after leaving it on a bus.. "Hey Madam, You have forgotten your book".. "Oh Thank you", I said (to not the right person) and left it again, at another spot for another finder. Maybe the new finder won't need it either...... but her sister/friend/mother/stranger might. Check out the alternate nostril breathing 1 minute meditation for anxiety. It really works. Yay! I got there..the first video and post. It's September and I always feel so excited this time of year. Its a good time for new beginnings and promising adventures, more so than a new year, I reckon. Remembering the start of a new school term, new shoes, new classes and new possibilities, this time of year still provokes that excitement and positive expectation of the new things to be discovered and learned... So here we go. This is the first! ...I want to share one of my favourite meditations, one that raises your energy levels, super fast, to super alertness and clarity and one that you wont forget. Perfect for when we could do with a boost, this meditation provides an alternative to yet another cup of coffee or sugar hit. Although you might get funny looks in the office (you'll see why when you watch the video) you can do it whenever and you feel amazing. It works by balancing the left and right hemispheres of the brain, oxygenating the blood and recalibrating the psycho- electromagnetic field. That's the science! It can be quite challenging at first, but try and push through your resistances as the work is going on internally and the magic is in the aftermath. You can do it! You can feel the affects of increase in alertness and energy immediately! ...and wonder what was stopping you before! This short and sweet meditation can get your verve on super quick, in the moment, and changes things long term. It's great. Give it a whirl below.. Thanks I hope you like it.